The ultimate bug battle: totally deadly. Check the stats and compare the colour pictures to predict your winner. 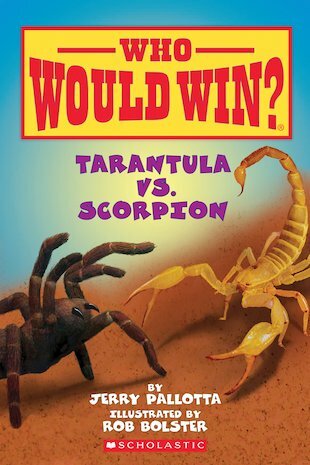 A ferocious bug war breaks out when a scorpion meets the scariest spider in existence. Which creepy critter will win this bug battle? The tarantula may be big and hairy, but it needs to bite you to kill you. The scorpion is skinnier and slighter, but its poisonous sting moves fast. Which angry insect will come out on top? A fun book of killer comparisons – not for wimps! As much fun as Top Trumps – but much deadlier!